See Gold Coast Info for a guide to all the theme parks and discount ticket options. 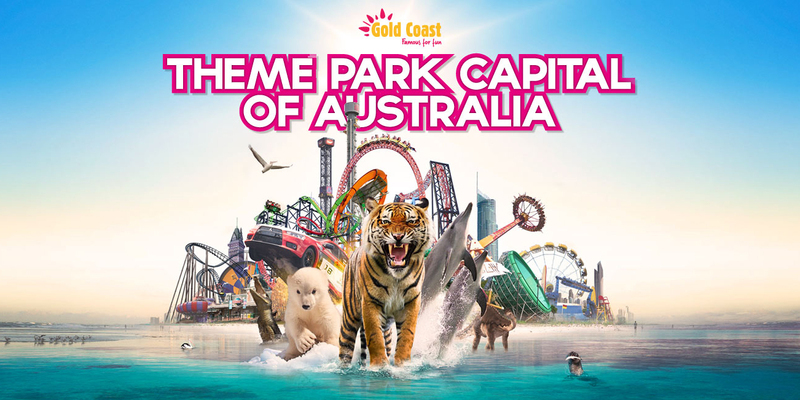 Most of the major parks (inc. Dreamworld, Whitewater World, Wet n Wild, Movie World, and Paradise County) are located in the northern areas the Gold Coast at Oxenford and Coomera. From Surfers Paradise it takes around 35 minutes travel time and from Broad beach around 4o minutes, and from Coolangatta around 70 minutes. Sea World is located in Main Beach and takes around 10 minutes travel time from Surfers Paradise, 15 minutes from Broadbeach and 50 minutes from Coolangatta. Transfers to Currumbin Wildlife Sanctuary from Surfers Paradise takes around 40 minutes, and Broadbeach around 30 minutes, and Coolangatta around 15 minutes.